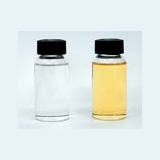 United POLYSORBATE Suppliers, United POLYSORBATE Manufacturers. Colorless - tan liquid. Faint odor.Pharmaceutical additive. Surface active agent.